There are so many variations of banoffee pie out there: some insist there should be cream on top, others not. Some place the banana slices on top of the caramel and others put them the other way around. Many years ago I worked in a busy restaurant helping out the pastry chef. Her banoffee pie was so good people used to be queuing up to buy it! When I thought about making a gluten, grain and refined sugar-free version, I worried that I wouldn’t be able to get the caramel flavour and biscuit base right but I was delighted with how it turned out! Seriously, I couldn’t stop eating it and it was a big hit with the rest of the family too. 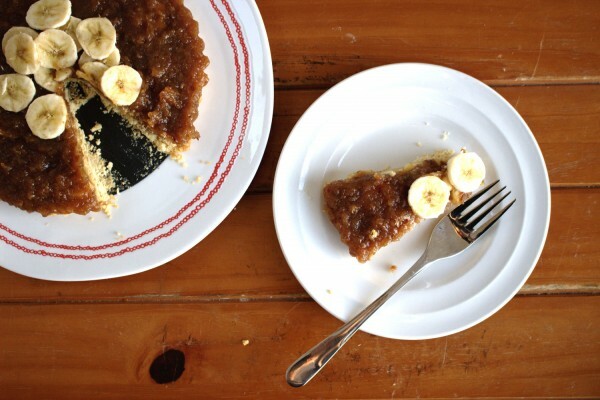 To me this is just as good or even better than a “regular” banoffee pie. A delicious gluten-free, grain-free, dairy-free and refined sugar-free version of this classic dessert. 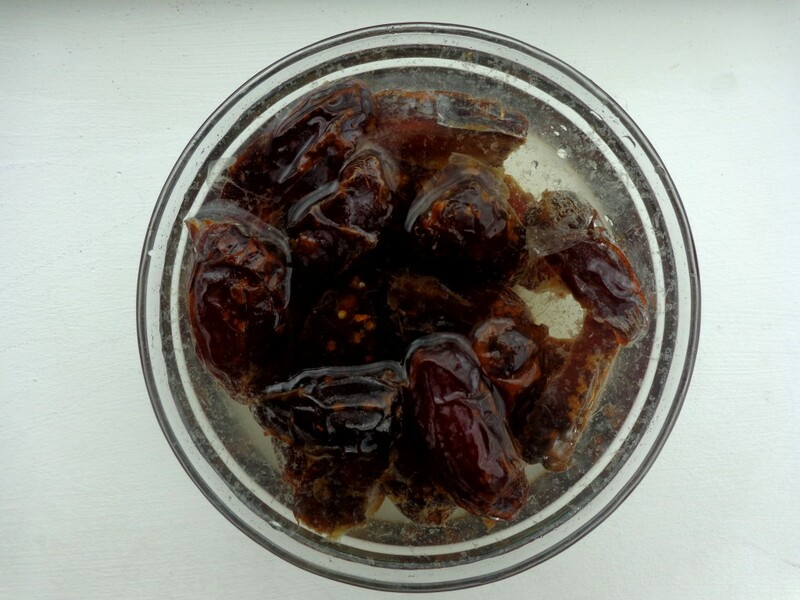 Place the halved dates in a bowl with water to soak for 30 minutes. 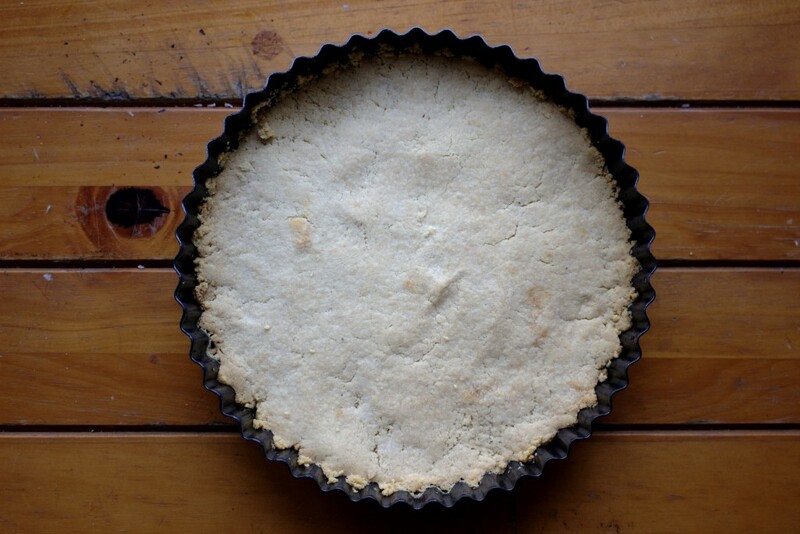 Grease the pastry tin with coconut oil. 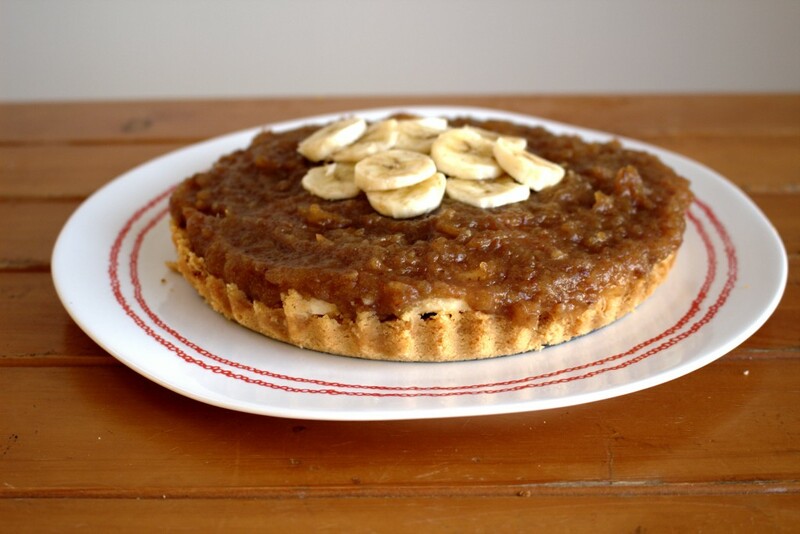 Allow the crust to cool completely before slicing the bananas and placing them on top of the pastry, keeping aside some for decorating the top of the finished cake. Next, make the "toffee" topping. Place the dates and hot water in a powerful blender and blend until smooth. 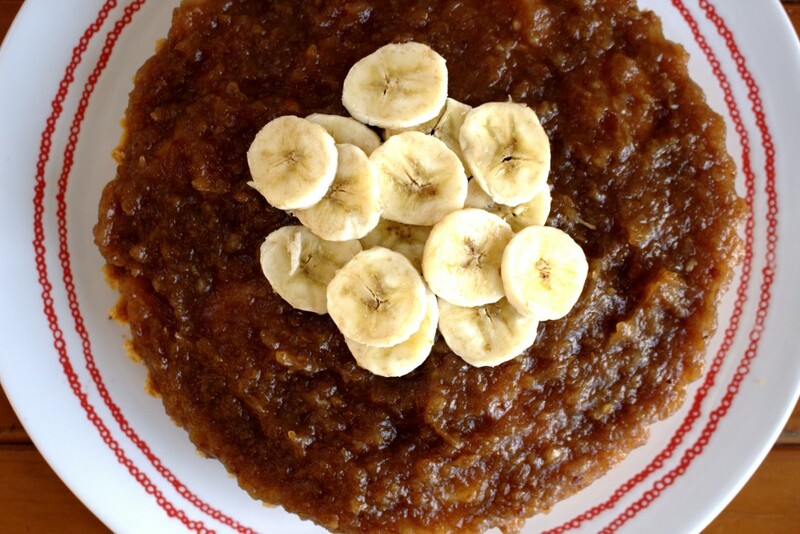 Allow the mixture to cool before spreading on top of the crust and bananas. Use a spoon and knife to help smooth it out. 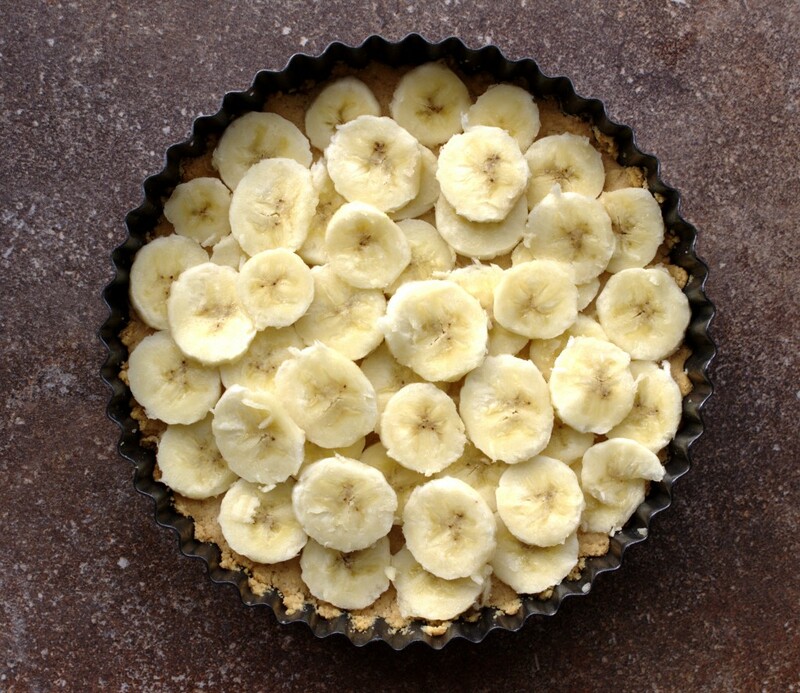 Place the remaining banana slices on top to decorate. 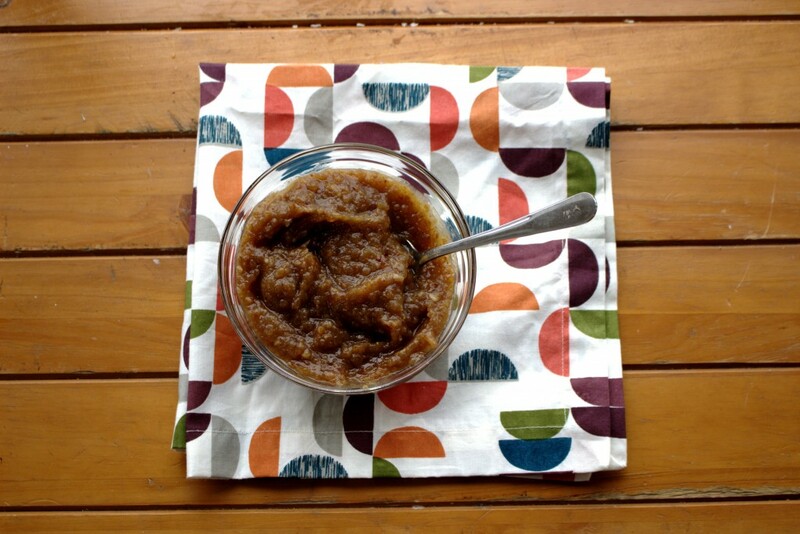 Refrigerate for as long as possible before removing from the tin and cutting into slices.